Reading up on Morocco, one thing that kept cropping up was the Hammam, which is an incredibly important part of Moroccan culture and life. 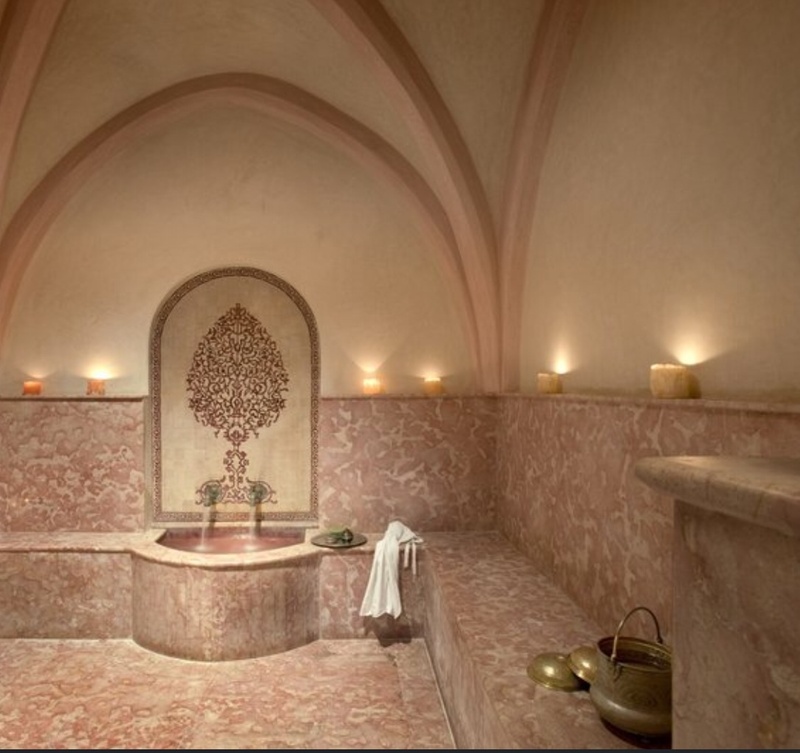 Men, women and children will visit their local Hammam at least once a week,to get clean, share gossip and relax. 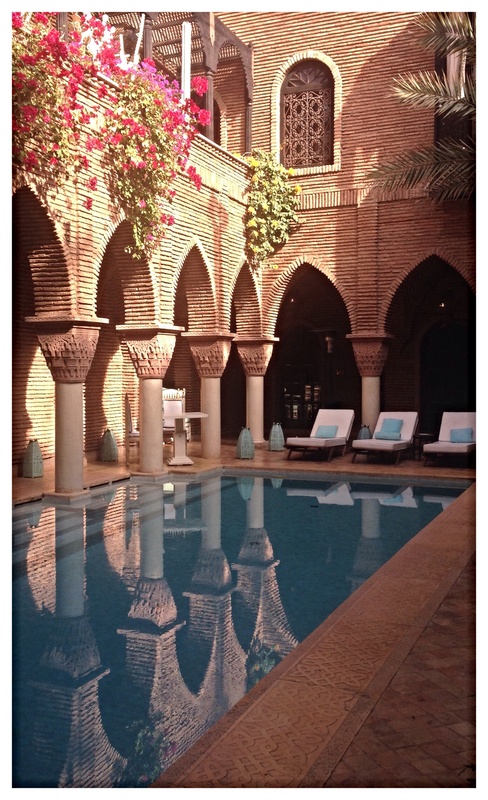 Not being brave enough for a public Hammam experience, we booked ourselves into the spa at our hotel, La Sultana Marrakech. The walk down to the spa was blissful, gentle bird song from the outdoor area as well as the smell of jasmine incense. We felt calm before we even got there! 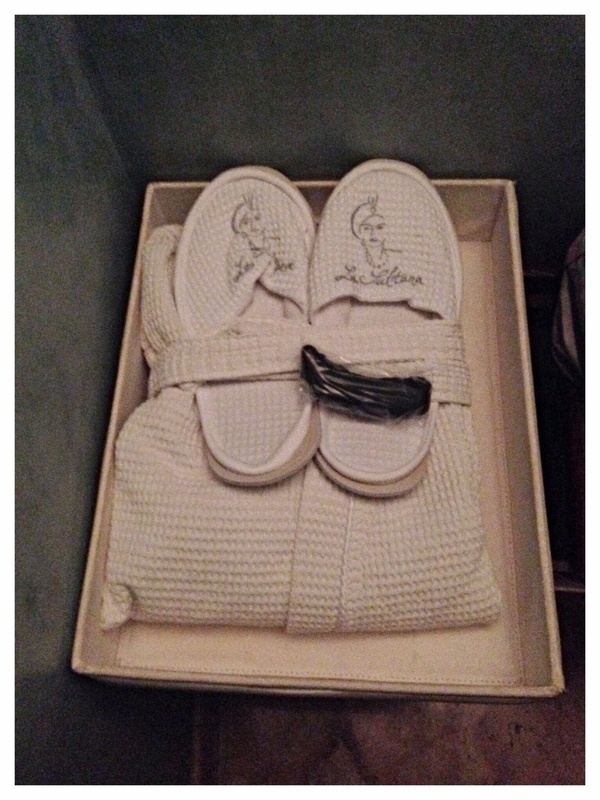 We were given a box with slippers, robe and disposable pants and shown where to change. After chortling at the lovely pants, we headed to the spa area. 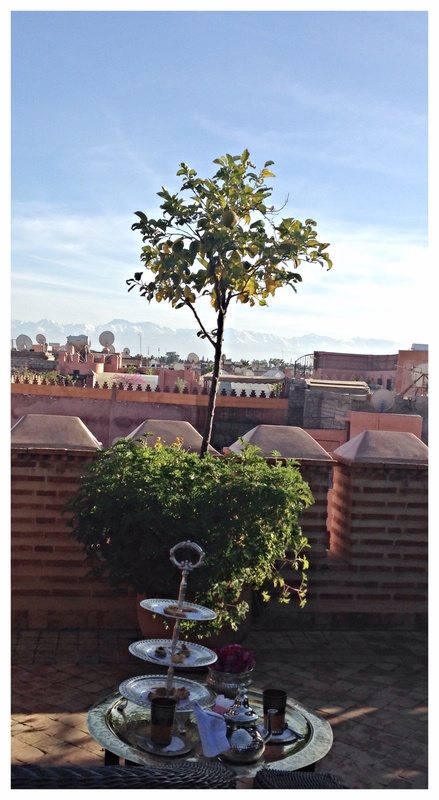 What a beautiful place – warm, fragrant and relaxing, perfect! This all changed! In the stream room, which is like a sauna with water, the female assistant splashed us with hot water from head-to-toe until we were both drenched! We were allowed to sit, relax and acclimatise. The assistant returned and then covered us with savon noir, a blend of olive oil and eucalyptus oil. This cleans, freshens and moisturises your skin. After rinsing with more hot water, We were instructed to lie down on the heated marble seats – very hot seats! The delicate lady soon showed she had the strength of an ox – sloughing our skin away. No relaxation here! Once the front was done, the sides and back were sloughed within an inch of its life. I could certainly feel the tingle! We had added on a clay body wrap, the price was good so we thought we would go for the full experience. Covered from head-to-toe in clay and then wrapped in plastic to cook – well that’s what it felt like. We were roasted, thankfully our lovely spa assistant retrieved us and revived us with some water, fitted our robes onto us and handed us our slippers so we could relax at the indoor pool. With some fresh mint tea prepared, a head massage and a cooling eye mask we were nearly ready to face the world. Well, maybe after just one more cup of mint tea…. We picked the Royal Hammam treatment with extra body wrap, this treatment costs roughly £39 each which is worth it as we spent a good couple of hours being pampered. 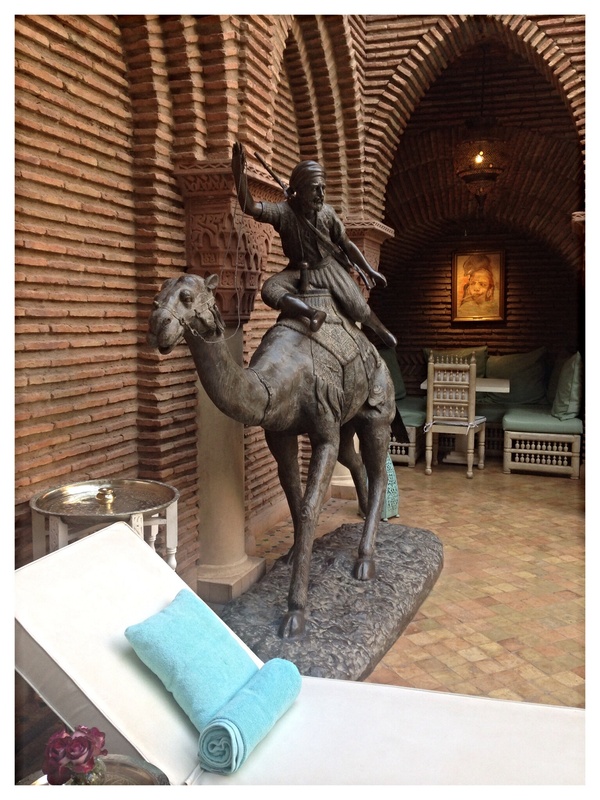 Many thanks to La Sultana Hotel & Spa, Marrakech for the wonderful experience and enabling us to visit. You can read our review of the hotel’s accommodation here, our lunch here and our cookery class here, which was also our lunch on the second day of our stay.